Peerless has been in business for over 100 years. Most of that time has been spent mixing dough for bakeries who produce breads, crackers, bagels, cakes and cookies. However, over the past few years, Peerless mixers have been finding their way into other types of food making facilities. Peerless mixers are now in plants that mix different products such as pet food and treats, neutraceuticals and nutritional bars. With these adjacent markets, Peerless is expanding our existing product line to serve different types of food manufacturing. 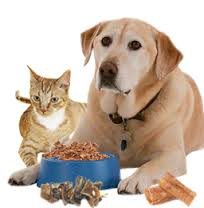 The Pet Food Industry is one of the fastest growing markets and is expected to grow to US$74.8 billion by 2017. Read more here! about the growing Pet Food Industry. Today, more than ever, consumers are focused on pet food. There are Pet Food Rating websites, Breeders Clubs that reward volume purchases and pet foods are now frequently labeled “Organic” , “Fresh” and “Premium”. In the world of “Pet Parents” who want to provide the “Best for the Fur kid” – “frozen”, “freeze dried” and “grain free” are advertising buzz words. Peerless has a small presence in this market – our mixers mix pet treats that are cooled and extruded into chews, and are used in a few other pet food locations that use Peerless mixers for R&D projects. This market is exploding, not only in the US, but around the world. Keep an eye out for Peerless as we carefully expand in this industry! Recently, new research was completed and report published titled the “North America Nutraceuticals Industry Outlook to 2017- Increasing Demand from Ageing Population to Drive Growth” . This report gives a comprehensive analysis of the industry past, present and future outlook. To learn more about this report, click here!. Statistics in this study include functional food, functional beverages and dietary supplements. Additionally the sub-segments of the industry, ongoing trends and developments, import and export scenario, government regulations and impact and highlight major players operating in the industry. 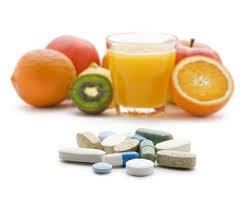 The concept of nutraceuticals is very well prevalent in the North American region, with more than 60% of the population living in the US and Canada claiming themselves as a regular users of nutraceutical products. The value growth recorded by the nutraceuticals sector in the North American region over the review period of 2006-2012 was 8.4%. This market has a high growth potential for Peerless mixers as well. Watch for us in this new market as well. Peerless Mixers Make Pet Treats Too! It is not a surprise that pet food manufacturers use Peerless mixers too. 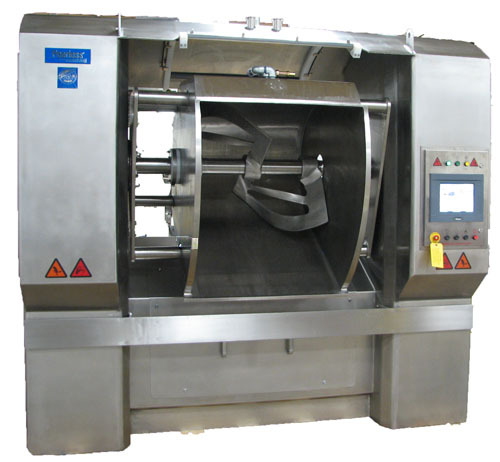 Here’s a new mixer that is on its way to Alabama to make jerky treats for dogs. The interesting part about this mixer is that instead of having a bowl jacket that focuses on cooling the product this one actually steam cooks the product in the bowl while it’s mixing! Pretty cool! Steam Jacketed Mixer used to make Jerky Treats for Dogs! In the photo, you can see the piping that will be used to move and manage steam into this bowl jacket. The steam in the bowl jacket will be used to actually steam cook the ingredients while they are being mixed. This is just another great example of how Peerless technology can be used in other segments. 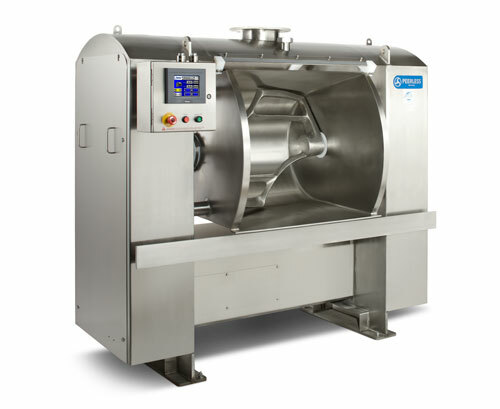 To learn More about Peerless Mixers and other products – please visit our website.